Village Pediatrics is conveniently located in Garden City, NY and is the home of some of the most compassionate and caring Pediatricians and medical professionals on Long Island. Our highly trained Pediatric Doctors work tirelessly and at times around the clock to help parents keep their children healthy. Simply put… It’s Because We Care! We know that when your child is ill, it is a scary and nerve racking time for you. As a parent you just want your child to get better and when you begin a relationship with Village Pediatrics your child will be in the caring hands of one of our highly qualified pediatricians who will be available 7 days a week. Call us for an introductory consultation at 516-248-8334 and you will know right away that Village Pediatrics is the right healthcare provider for your child. Free pre-natal consultation for expectant mothers. All aspects of post-natal care for newborn babies. Administration of all childhood vaccines including the flu vaccine for babies and children only by our doctors. Same day appointment for an ill child during normal business hours, we don’t want our sick patients to have to wait long for an appointment. Round-the-clock care for any emergencies, all emergency calls are only answered by the physicians of Village Pediatrics. At Village Pediatrics we do our best to get you into our office as fast as possible so one of our pediatric doctors can help your child. If you have an emergency with your child during normal business hours and you need to see us immediately simply call 516-248-8334 and we will do our best to get you in to see one of our pediatric doctors ASAP. In addition Village Pediatrics takes great pride in having the lowest wait times as compared to many other pediatric doctors in the Garden City, NY area. We have plenty of doctors and patient rooms so when you come into our office your wait will not be long. 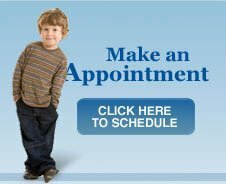 We make sure you are received within a few minutes of entering our offices and that you have all the time you need with our pediatricians. Our primary objective is taking optimum care of your child, so we want to make sure we are providing you with the best advice and medical treatment possible. When you finish your appointment, you will walk away knowing that you have obtained the best pediatric care possible for your child. Our phone lines are open 24 hours a day with a kind and caring voice on the other end. If your child has an emergency after normal business hours, you can count on Village Pediatrics to help you as our pediatric doctors are on call. We provide around the clock care for all our patients, new or existing. What’s more if you have an emergency after normal business hours, simply call 516-248-8334 and we will be there to help in any way we can. Village Pediatrics accepts over 15 different kinds of insurance plans including Aetna, Blue Cross/Blue Shield, Cigna, Empire Plan, First Choice, and many more. For a full list of the insurance plans we accept please click here. Our Pediatricians proudly serve the surrounding Long Island communities of Garden City NY, Mineola NY, Westbury NY, East Meadow NY, Hempstead NY, Westbury NY, Franklin Square NY, Floral Park NY, New Hyde Park NY, Williston Park NY, Manhasset NY, Uniondale, NY, and others.